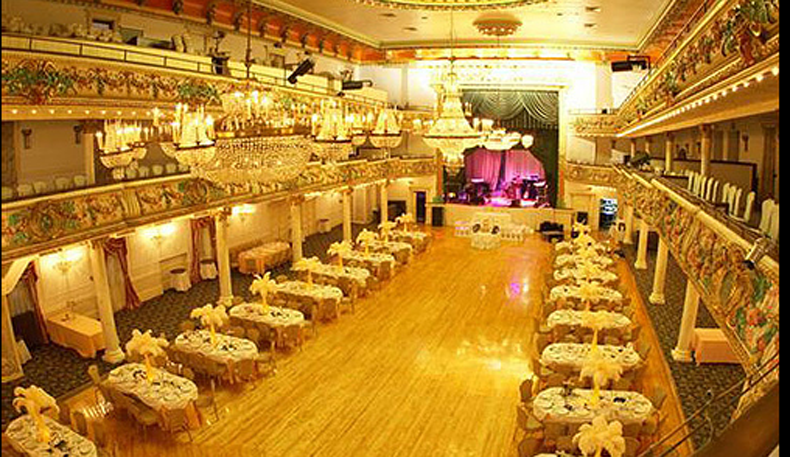 The Grand Prospect Hall, located for more than a century in Brooklyn’s historic Park Slope. 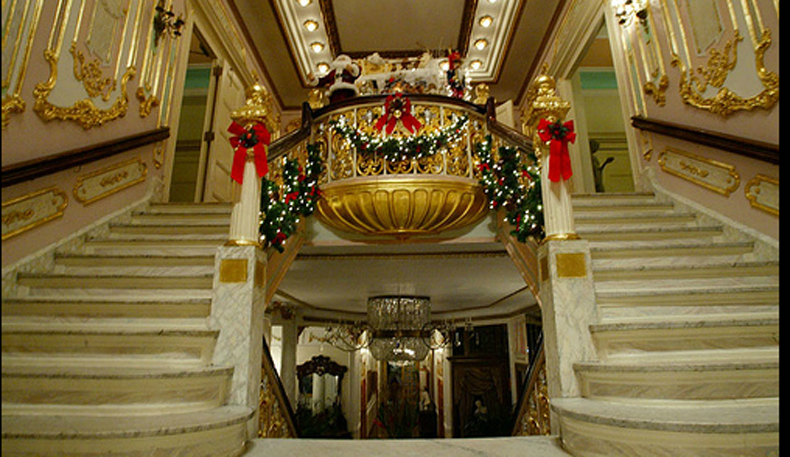 Here, you’ll take a magical journey into a fairy tale era of utter opulence. Once, a wealthy and cosmopolitan Victorian society held court in this dazzling French Renaissance-style palace. Experience 1890s glamour, from the moment your guests make their entrance into a soaring gilded and marble lobby that recalls all the splendor of Versailles. Feast, dance and romance among ballrooms resplendent with a magnificent art and antiques collection, sparkling chandeliers, fabulous floral displays and rococo detailing. Your event, whether for 80 or 2000, for business or pleasure, will have all the pomp and circumstance, all the lavish spectacle of bygone gentility. Here is where ordinary people come to feel extraordinary, and the famous come to feel like stars. Let us make your dreams come true. 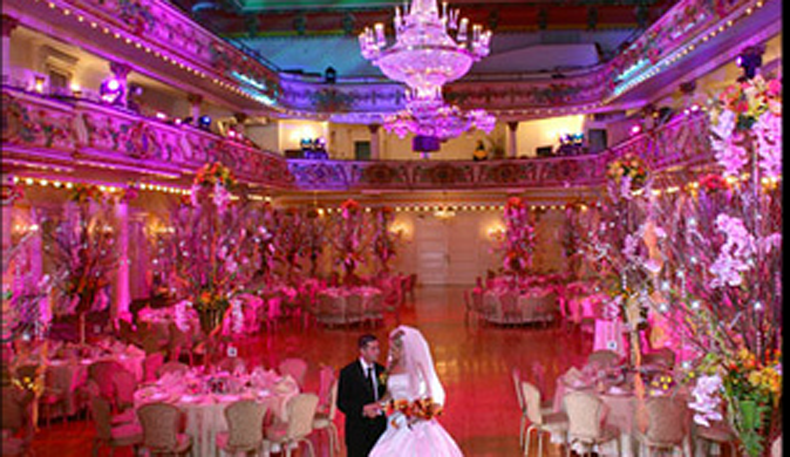 At the Grand Prospect Hall, we believe that your wedding ceremony and reception should be a fairy-tale vision come true. You are the princess and prince at this very special event. Your family and friends will be treated like royalty. The hall’s staff will work with you personally to custom-design the perfect dream occasion for the memories of a lifetime. (Take a look at our happy clients’ love letters.) Whether your wedding is small or large, indoors or outdoors, we will match your heart felt desires with an elegant and lavish event. While The Grand Prospect Hall hosts many weddings every year, we believe that each wedding is a unique happening (just as it is for you! ), where no detail is too small, and no arrangement beyond possible. Weddings at The Grand Prospect Hall fall into four areas: formal traditional, various themes, traditional ethnic, and traditional religious. Our gourmet cuisine is five-star and we are mindful of any special culinary requests. In addition, we offer ceremony spaces and all necessary arrangements. Most of all we help with aspects that you would often have to pay extra for: clergy; photographers and videographers; florists; music–even ballroom dancing lessons! Think of us as your complete wedding consultant. We want your wedding to be as utterly romantic as Cinderella at the ball with Prince Charming. See what it is to revel like royalty on your most memorable day.